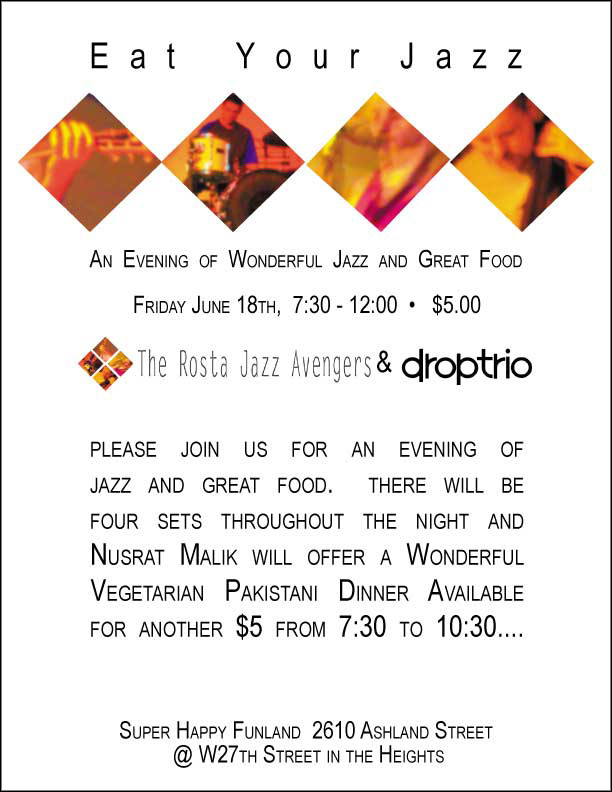 "Eat Your Jazz" - an evening of avant-garde instrumental jazz music, along with a full meal of vegetarian Pakistani food by chef Nusrat Malik. $5 gets you in, and another $5 gets you dinner. We'll have Thomas Helton on bass, so it's guaranteed to be a wild night of inscrutable sonic and culinary happenings. For more info, check out the poster.